The final book of the new covenant writings is the Revelation from Jesus Christ. It is unique, presenting a vision of the risen Lord Himself, who entrusts John with a word of prophecy for the seven churches in Asia, and through them the whole church in all times and places. It addresses us directly, unlike the gospels where we are witnesses to what is happening, watching like a movie or television show. In Revelation we are expected to read it and take it as a direct message from Jesus. It uses imagery and is difficult for us to understand without deep study and expert help and even then we can’t be too sure of the message. Therefore, it is always best to listen to the message in prayer and let the word speak to us in our heart, rather than our mind. Revelation opens with a prologue that gives the origin and intention of the message, followed by a greeting, some Praise for Christ and a prophecy. 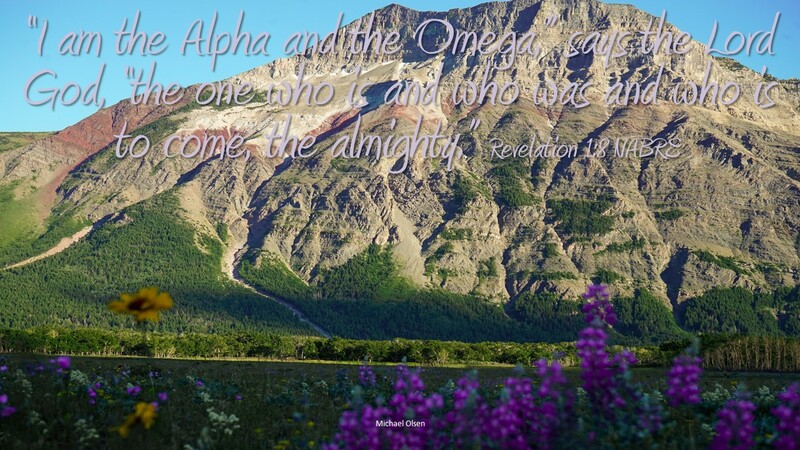 This includes the quoted verse that has the Lord telling us He is the Alpha and the Omega, the first and last letters of the Greek alphabet, indicating He has authority over all of history from the beginning to the end. Then we read He is the one who is, who was and is to come, the almighty. With a similar message near the end of the book (21:5-6) it is a way of the Lord saying I certify the message of this book. Revelation has a vision of a New Jerusalem with Jesus, the Lamb of God, sitting on the throne. It is a vision declaring we know how everything turns out. Jesus is victorious, he defeats death, and creates a new paradise for all who are interested. Live your life like you know this and be interested! Do you trust God has a plan for all time? How do you plug into God’s plan?